I finished 2011 with a special project. I edited my 4,000 slides of my life down to 800 and had them transferred to digital. Pictures from my life in Hawaii as a teen to college graduation and life in LA. I still have 4,000 slides of my travels to Mexico, Guatemala and Aspen to edit and transfer. 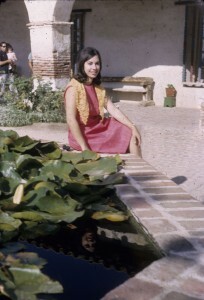 Here is a photo ofme at the Mission San Juan Bautista which was always one of my favorites! Wasn’t I cute in my 20’s? !!! And here is another of a community seder I conducted with my best friend/twin brother by choice Anselm Rothschild for 50 of our closest friends . It was like reliving my life to look at all those photos! I’m reminded of how many wonderful people I have known and loved over the years as well as how many exciting projects I’ve been involved with, including the birth of UTLA (United Teachers of LA), est, The Hunger Project, The Holiday Hospital Project, the founding of the Institute for Synery in Action and The LA World Hunger Event. 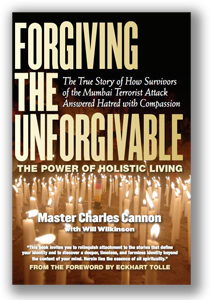 I worked on the promotion for Master Charles’ book about meditation and our experience in India during the terrorist attacks in Nov 2008. The book is called Forgiving the Unforgivable . Of course, I highly recommend it. The book tells the experiences of the 25 of us, in our own words. My words are there too! I have a new tradition of spending New Years with my best friend in San Marcos and getting an Ayurvedic massage from Mirwan at the Chopra Center. My close friend from college, Paul Alsing and his lady Deb joined me, Lynn Ludlam and Steve Wichmann. 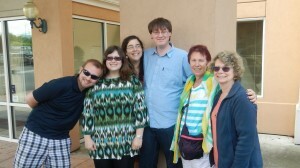 We had a wonderful time and this trip initiated the year of travel – 2012! The first trip of the year actually didn’t involve any flights! My family all came to LA for the 1.14.12 Bar Mitzvah of my cousin Riley Nichol. I spent almost a whole week with my Dad and his two brothers, Mel and Evan. Most fun was the evening at the Magic Castle with Sue and Gary Peterson! On March 9th my Dad, my brother and I flew to Vancouver, Canada for the Bat Mitzvah of my cousin, Gabi Kalla. This is my mother’s side of the family and all my cousins and nieces and nephews were there. We had a great time! 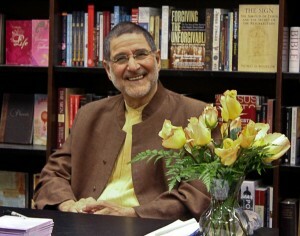 I flew home on Sunday and left on Wednesday for Charlottesville, Virginia for Master Charles’ annual Birthday Retreat. 5 days of meditation, fire yagna ceremonies and healthy eating and reconnecting with close friends, especially Lisa Schwaber, my long time friend and travel mate for both trips to India made me a happy gal! I try to go every year, especially in years when Master Charles doesn’t come to LA. It gives me quality time with him. 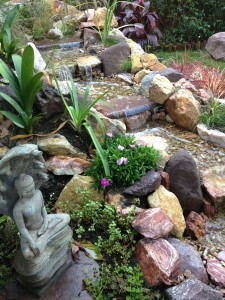 The energy at his retreat center is unbelievably centering and blissful. 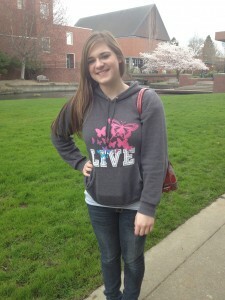 On April 5th I flew to Portland Oregon to take my niece,Annie Sevier, touring colleges. 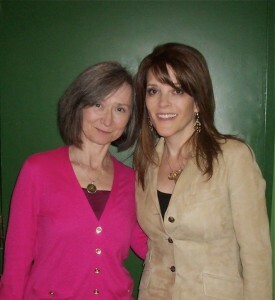 I am so fortunate to haveStephanie Meade as my client. Her company, The Collegiate Edge, offers counseling and coaching to college bound students. I challenged her to do long distance counseling and help Annie find a college that was right for her and to obtain scholarships for her. Stephanie did a great job and Annie received offers from 7 colleges. Annie has had straight A’s through her schooling and I wanted to encourage her to consider a small private college instead of Oregon State University at Corvallis, a school with 25,000 students. In 4 days, we toured the 3 Oregon schools: Willamette in Salem, Lewis & Clark in Portland and Linfield in MacMinnville. Both of us loved Willamette and I’m thrilled to share that she chose Willamette! 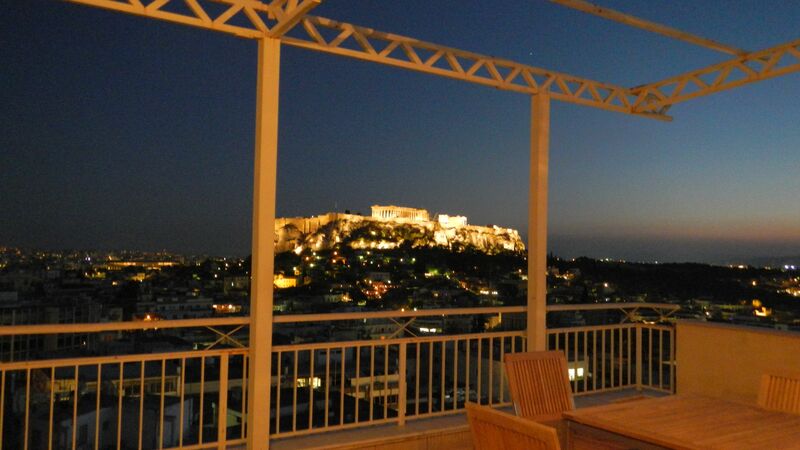 4 weeks later (filled with theater, my annual trip to the Pasadena Design House and movies) Lynn Ludlam, my best friend, and I flew to Athens, Greece for my two week “trip of a lifetime”. After spending two nights in Athens and visiting the Parthenon and the Temple of Poseidon, we embarked on the Aegean Odyssey for a 12 day cruise around the islands of Greece in search of ancient ruins. 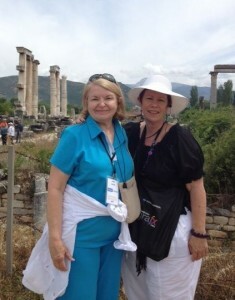 We toured the ancient city of Mycenae. 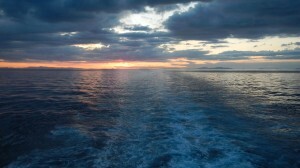 We sailed toRhodes and Crete. We saw the great Minoan city of Knossos. We saw the Lions of Delos. 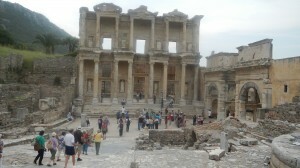 We also went to Kushadasi and Istanbul Turkey where we visited the great city ofEphesus and the ruins of Aphrodisias. And concluded our trip in Skiathos, an idyllic Greek island with great shopping and delicious coffee! We toured castles and forts, shopped in villages, towns and cities, walked til we dropped, ate fantastic and healthy food on board the ship and in little cafes and restaurants. Fell in love with Greek Salads (hold the Feta for mine!) and olive bread!!! Life was a dream! 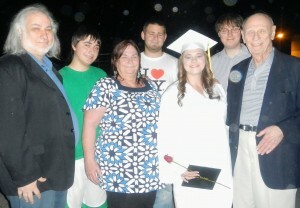 I was home for 10 days when the family left for Central Point Oregon for Annie’s high school graduation. My son Josh and his girlfriend Cherize flew in to join us. As it happen, a synchronicity, my neighbors who moved to Ashland, had their twins Bar and Bat Mitzvah’s the weekend before. Sarah & Evan babysit regularly for twins and almost consider them as their own children, so Sarah, Evan and Marcia drove up and Grandma Dorothy flew down, so the Asbury-Britvan family joined the Sturm family for breakfast on Sunday before the Graduation. 8 days later after more theater and work, Dad, Lou and I were off again! Travel is really my middle name this year! This time we flew to Philadelphia PA and then drove to Summit New Jersey for Eric Jacobson’s Bar Mitzvah (cousin on my mother’s side) The whole extended Grossman family was together again (same group as in Vancouver) and we enjoyed it immensely. We drove back to Philadelphia via Princeton New Jersey where we had lunch with my 30+ year friend Sam Daley-Harris. Sam founded RESULTS (Nonprofit, grassroots citizen’s lobby working to create the political will to end hunger and the worst aspects of poverty) and the MicroCredit Summit Campaign (Working to ensure that 175 million of the world’s poorest families, especially the women of those families, are receiving credit for self-employment and other financial and business services by the end of 2015. and working to ensure that 100 million families rise above the US$1.25 a day threshold adjusted for purchasing power parity (PPP), between 1990 and 2015). Sam is one of my heroes in life and a close friend. We enjoyed a wonderful lunch and got updated on Sam’s new life as a consultant! And we got to see his two adorable kids. Sorry, no pictures! Then we drove on to Philadelphia where we met Todd Salkowitz, the product manager for AccountEdge and my close friend for more than 20 years. He took a couple days off and showed us around Philadelphia. My parents moved to Philadelphia after they were married (during World Ward II) so we went on a roots hunt for the 3 houses we lived in there. We saw one, found a neighbor of another and had a generally great adventure! On Friday July 13th I drove to San Marcos for Lynn Ludlam & Steve Wichmann’s Annual BBQ and another opportunity for me to have a massage with Mirwan at the Chopra Center at La Costa in Carlsbad. I never miss those opportunities and my goal is 4 per year! I had a great time and on the way home I got to spend the day with my girlfriendSheri Broussard and her daughter Briana in Irvine. The rest of July brought more theater and movies and my Dad’s 91st Birthday Party, just a small dinner at the Odyssey in Granada Hills. 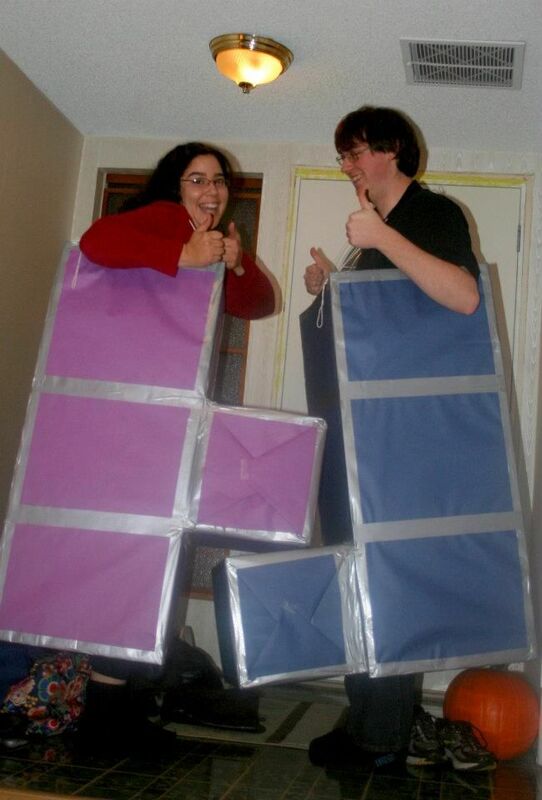 Josh & Cherize won a costume party prize for coming as Tetris pieces. Aren't they cute!!! 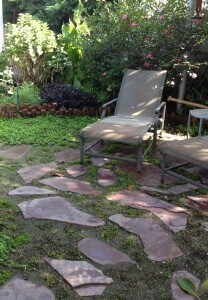 And I began my big home improvement project of the year. I mentioned early in this blog that I went on my annual visit to the Pasadena Showcase House, with my dear friend Aarlene Friedman. Each year they take an old mansion in Pasadena and have many decorators/designers re-do it. It is a fundraiser for the LA Philharmonic. Then we visit and get great ideas, plus shop in the terrific boutique and eat wonderful food! Each year in the past, I looked at the waterfalls and water treatments and longed for my own. This year I took action in July. I fell in love with a beautiful rock, which became my meditation rock and began planning the construction. 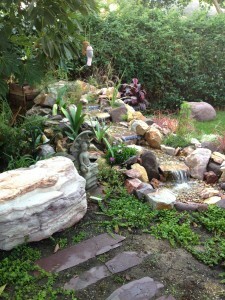 Look at the bottom of this blog for photos! 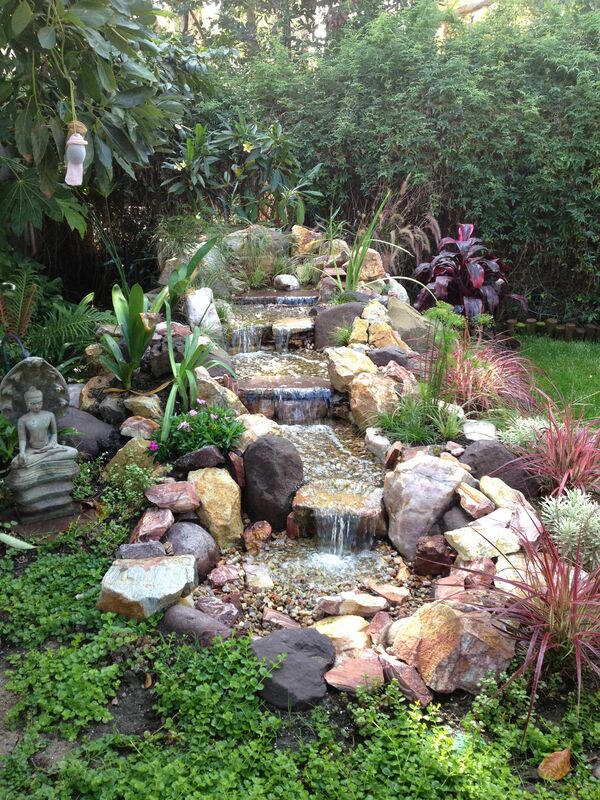 The new waterfall, paver patio and improved vegetable garden was unveiled in early September when Josh and Cherize came for High Holy Days (and to pick up a family heirloom ring to become an engagement ring 🙂 ). I had my 25 closest friends and family here to celebrate both occasions with a great Indian feast. THE TRIP #8: SAN MARCOS, AGAIN! July and August were filled with theater (I really like theater and have season tickets with Dad at the Ahmanson, the Mark Taper Forum and the Geffen). Then on August 10th I went to Hot August Nights at the Greek with Neil Diamond. Neil’s sound manager, Stan Miller, and I have been friends for years (of course he is a client) and I’ve provided Apple computers for all of the band. We had a great time at the concert! 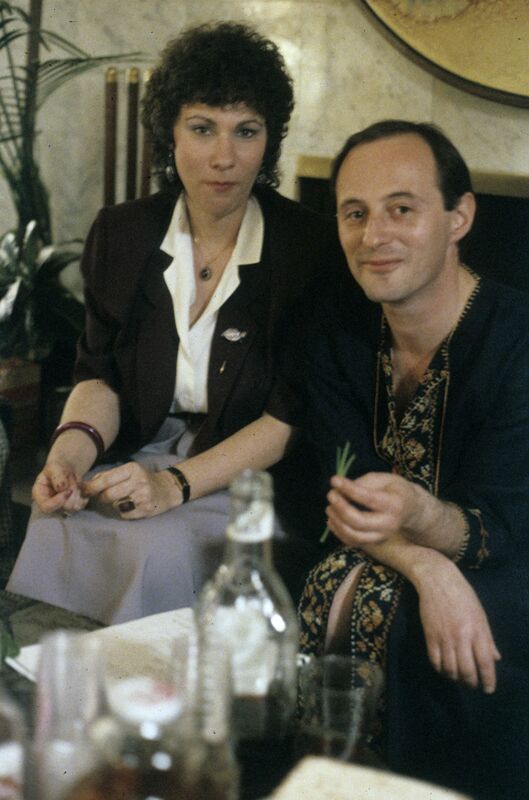 And the next day I had my first date with Dave Garroway, Jr, who has become my “true love” and constant companion. 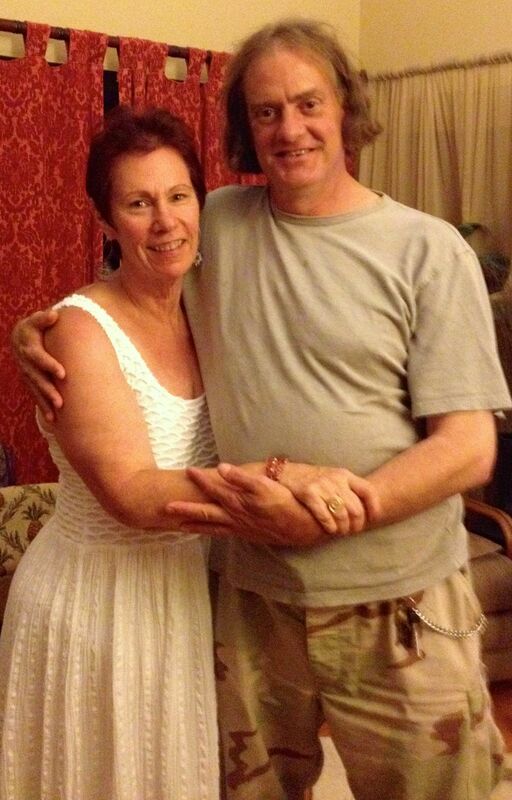 10 days later we went to visit Lynn Ludlam for 5 days. Yes, I had another massage with Mirwan! What can I say? He sends me into bliss! 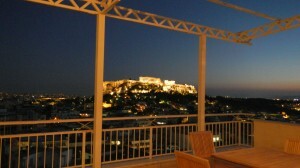 And we threw a party for Lynn’s friends to view our photos from Greece. We all had a great time. September was filled with the Jewish High Holy Days. I produce them for my Jewish community, B’nai Horin-Children of Freedom. 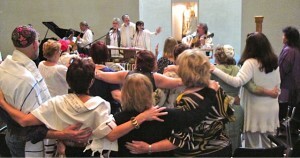 Our services are filled with extraordinary music and meaningful prayer. We hold them in Simi Valley at the Brandeis Bardin Institute. And we sleep over, having them retreat-style (so technically that is two more trips). This was my 22nd year of producing them. I think our services this year were more meaningful than ever. If you are Jewish and looking for connection, check out our web site. WHAT IS IN THE FORSEEABLE FUTURE, you ask? Las Vegas for the annual AccountEdge Certified Consultants Conference (with Charmaine & Sue) November 11 – 14th. There we will learn about all the new and exciting features in ACCOUNTEDGE 2013! Work, work, work – getting everyone ready for the completion of 2013 payroll, 1099’s and income taxes. 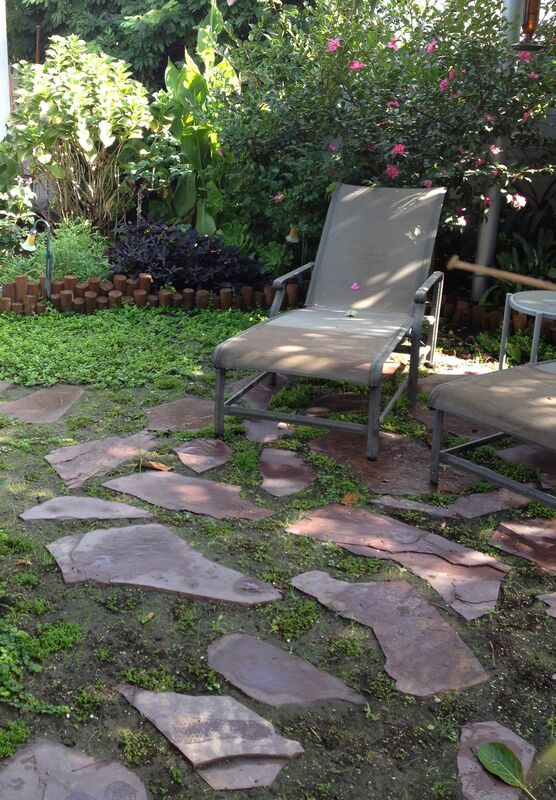 End of summer, 2013 – A WEDDING! For my son and his beloved, Cherize Ramirez. And that is as far as I can see! P.S. The traveling and family themes for 2012 has affected (infected!) our entire staff! SUE took her extended family (partner ROB and his daughter ORLY, and SARAH &EVAN) to Hawaii for a two week vacation in September. CHARMAINE and her partner BILL spent a wonderful week in San Miguel de Allende Mexico this summer. SHARON has made many trips to Encinitas where her son JONAS and daughter-in-law EMMY live to visit her 2 adorable granddaughters (Francie Ruth, 4 and Ever Sky, 2). KEVIN made a trip to France this summer for a family wedding and stopped in Florida on the way home to visit more family. 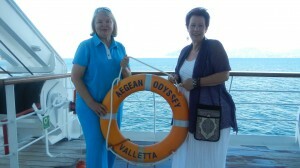 Would you like to meet the waterfall and to view our photos from Greece? I would love to share both with you. I’m planning a couple of “parties” in October and November, so email me to let me know you’d like to come and I’ll invite you!